Inspired by the tiles of Morocco, this style features an all-over geometric pattern with bold crisp lines for a rich and vibrant look. A variety of contemporary fonts along with bright and cheery colors help make this design modern yet stylish. 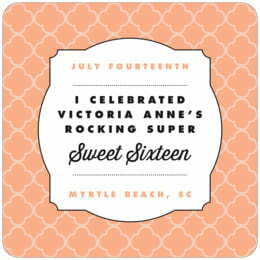 This versatile design is a customer favorite and can be transformed to fit almost any event. 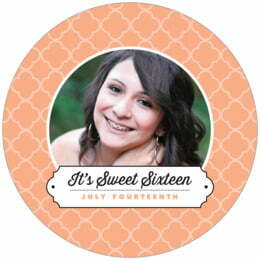 Customize your Morocco sweet sixteen coasters today!